I have a couple of friends who teach film history and filmmaking at university. Every year I get depressed when I hear how little interest the students who sign up for their courses actually have in the history. The prior knowledge they bring with them seldom goes back more than about five years, and many of them see little value in all that old stuff – you know, the silent era and the origins of film technique, the complex issues surrounding the arrival of sound and colour, the evolution of various genres. A lot of these students have ambitions to make their own films, and many even own their own equipment now – digital equipment, which makes filmmaking easier in many ways and certainly more affordable, although it also allows for shortcuts which bypass many of the established elements of craft … like the idea of individual shots as crucial creative components for building narrative, theme and meaning. After all, with a digital camera, you can just turn it on and point it and record whatever is happening in front of you; no need to be conscious of each and every angle and how they build on each other (something imposed by the economic and technical constraints inherent in the use of film stock). These attitudes are also very apparent in on-line comments in places like IMDb and Amazon, where you can frequently find complaints that old movies lack the pristine clarity of hi-def digital video; or have been improperly transferred because they’re not in widescreen, or for some inexplicable reason have been mastered in black-and-white. But beyond this technical ignorance, some commenters seem to be incapable of understanding the historical context in which a movie had been made. 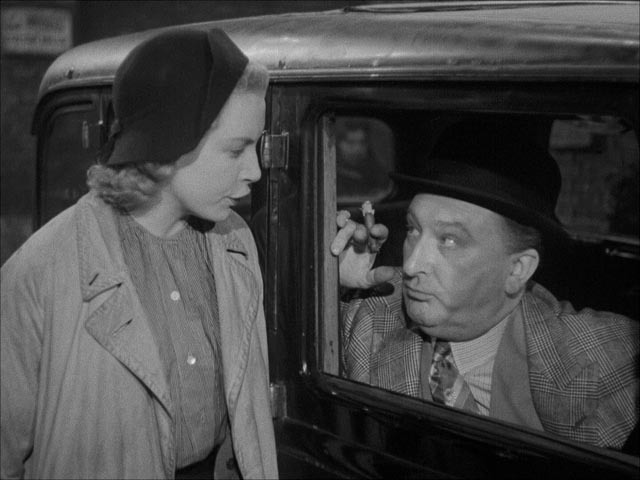 Hence criticisms of something like Fritz Lang’s Hangmen Also Die! because it doesn’t present a historically accurate account of the assassination of Reinhard Heydrich, criticisms which fail to understand that the event it takes as a dramatic starting point had taken place deep within Occupied Europe just ten months before the film’s release. Given the circumstances, it simply wasn’t possible to know the “true” story at the time – perhaps these critics feel that Lang, writer Bertolt Brecht and distributor United Artists should have refrained from dealing with the story until after the war, when research might be able to fill in all the details, disregarding the fact that the war was at its height and the film represents the confluence of creative art and propaganda aimed at reinforcing the resolve of the home front audience. Fritz Lang, having left Germany soon after the Nazis gained power, arrived in the United States in 1934. 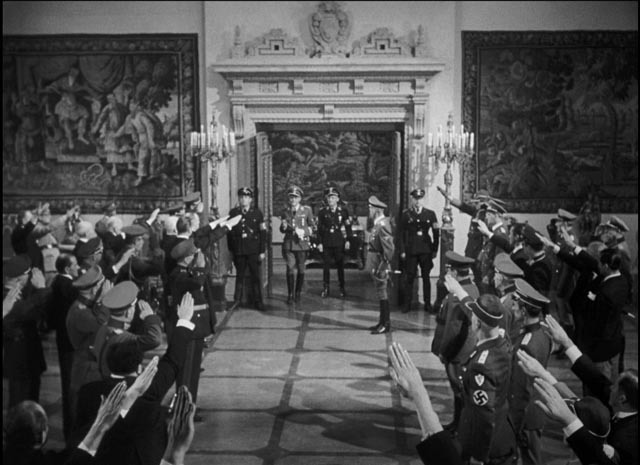 Although there were already people concerned about European Fascism, it was a subject Hollywood didn’t want to touch because Germany was still a major market for American movies. And so Lang (whose final German movie, Das Testament des Dr. Mabuse , could be read as a critique of the Nazis as a criminal regime) instead made a series of films critical of American society – Fury (1936), You Only Live Once (1937), You and Me (1938). As in a number of his German movies, he used stories of crime and the intersection of the dominant society and the underworld to puncture the complacency of the establishment. Perhaps feeling more settled by the late ’30s, Lang made a pair of westerns (not a genre he was entirely at home with) before finally addressing the situation in Europe with Man Hunt (1941), adapted from Geoffrey Household’s novel Rogue Male about a British big game hunter who gets mixed up with Nazis. More an adventure story than a political tract, it suggests that it’s time for America to take opposing the Nazis seriously. Of course, by then the war had been going on for almost two years in Europe, so Hollywood was more willing to be openly critical of the German regime. Lang’s next feature, after uncredited work on a couple of other movies, was – as they say – ripped from the headlines. On May 27, 1942, Heydrich, one of the highest ranking of all the Nazis and primary architect of the Final Solution, was shot in Prague (dying a week later). In retaliation, the Nazis destroyed the Czech village of Lidice, killing all men and boys and deporting the women to concentration camps. The actual assassins were Czech and Slovak soldiers, trained by British intelligence and parachuted into the country for the job. Those kinds of details were naturally not available at the time. So Lang and writer Bertolt Brecht invented a dramatic story whose focus was on the active resistance of European populations under Occupation. At the start of the film, the assassination has just occurred and a young woman, Masha Novotny (Anna Lee), unknowingly aids the assassin in his escape from the Germans by misdirecting them on the street. 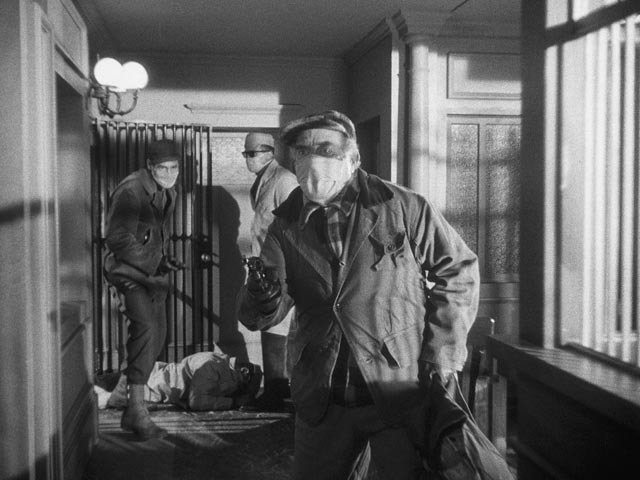 The trigger man is Dr. Svoboda (Brian Donlevy), a member of the Czech underground. As the Germans clamp down and impose a curfew, Svoboda seeks shelter in the apartment of Masha’s family. From this point, the film plays out a complex pattern of resistance, betrayal, solidarity, sacrifice and self-preservation. Among those seized by the Germans as hostages in an attempt to force the surrender of the assassin is Masha’s father, Professor Steven Novotny (Walter Brennan, giving a performance of understated dignity). Moral arguments are played out about the acceptable cost of resistance, while a complex narrative is constructed by the members of the resistance to entrap the traitor in their midst, the weaselly self-serving businessman Emil Czaka (Gene Lockhart). Although none of this has anything to do with the real events, the intricate script is beautifully constructed as a satisfying thriller, which also makes convincing arguments about the need to confront the Fascists even when the personal cost is high. Hangmen Also Die! works very well as both thriller and propaganda, a film executed at the highest level of Hollywood craft, with an excellent cast (the chunky Donlevy arguably the weakest link) and expressive cinematography by the great James Wong Howe, and an Oscar-nominated score by German emigre composer Hans Eisler. Eisler, like Brecht, was a communist and he was blacklisted after the war and driven out of the States by the House Un-American Activities Committee’s witch hunt, eventually settling in East Germany (even writing that country’s national anthem). Although made at the height of the war, this work by three German exiles, is darker than much Hollywood wartime propaganda, which tended more towards depictions of heroism rather than sacrifice and loss (only closer to the end of the war did darker films like Lewis Milestone’s A Walk in the Sun and John Ford’s They Were Expendable appear [both 1945]). No doubt this reflects the closer experience of these Europeans to the war and Fascist oppression; Hangmen Also Die! is nearer in spirit and tone to such English films as Cavalcanti’s Went the Day Well? 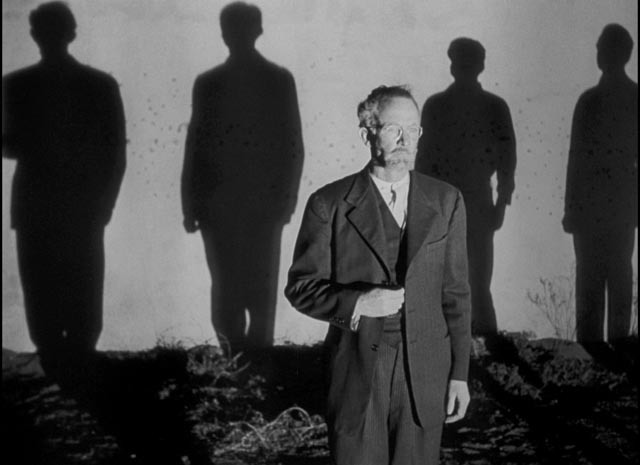 and Thorold Dickinson’s Next of Kin (both 1942). Arrow’s region B Blu-ray is an improvement over previous DVD editions, featuring the same British 2K restoration of the complete film sponsored by the Cohen Film Collection which is available in region A. (Some earlier editions were missing the film’s epilogue depicting the murder of the hostages.) The disk also includes most of Cohen’s extras – a commentary by film historian Richard Pena, an interview featurette with historian Robert Gerwarth about the assassination of Heydrich, and a brief restoration demonstration. Robert Wise began his career in film as an editor at RKO, hitting his peak with Citizen Kane (1941) and The Magnificent Ambersons (1942). His directing career got off to an inauspicious start, shooting additional scenes for Ambersons after it was taken away from Orson Welles, including the dreadful final sequence. His reward for that act of butchery was a directing contract with Val Lewton’s B unit, for which he helmed Curse of the Cat People, Mademoiselle Fifi (both 1944) and The Body Snatcher (1945). For the next decade and a half he directed a wide variety of projects in numerous genres, including several classics – The Set-Up (1949), The House on Telegraph Hill and The Day the Earth Stood Still (both 1951). He directed noirs, war films, thrillers, westerns, comedies, science fiction, contemporary dramas, even a costume epic. Most of these movies were made on a fairly small scale. Then in 1961 things changed when he co-directed West Side Story with Jerome Robbins. Suddenly he was making big films, winning Oscars for West Side Story and The Sound of Music (1965). Most of the movies from the second half of his career are almost unrecognizable as the work of the filmmaker who made so many tight, economical films in the ’40s and ’50s. He became a purveyor of big studio prestige productions. And the stark contrast between these two modes is most apparent in the juxtaposition of his final film of the ’50s, Odds Against Tomorrow, and his first movie of the next decade, West Side Story. Odds Against Tomorrow (1959) is a bleak late noir, shot on location in New York City and a small town in the Hudson Valley, while West Side Story, of course, is a huge Technicolor musical fantasy set in a stylized New York. Both revolve around the theme of racism, but one is grimly realistic while the other is a romantic tragedy. With the exception of his superb adaptation of Shirley Jackson’s The Haunting (1963), Odds Against Tomorrow seems to be the last genuinely personal film Wise ever made; those which followed, even the good ones, are essentially big commercial machines which express little of the filmmaker’s personality. Despite its many fine qualities, West Side Story comes nowhere near the previous film’s searing portrait of the pathology which underlies racism. Odds Against Tomorrow, adapted by the black-listed Abraham Polonsky and Wise’s frequent collaborator Nelson Gidding from a novel by William P. McGivern, is steeped in the tradition of crime going back to the gangster films of the late ’20s and ’30s, with the added gritty realism of post-war location filming. 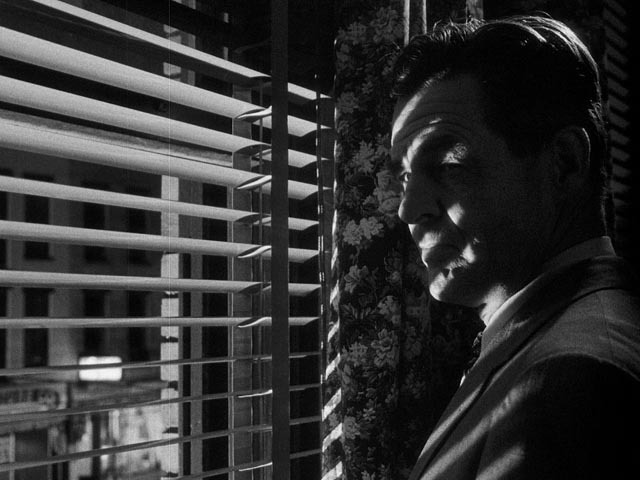 Shot in black-and-white (a format Wise would return to only twice, immediately after West Side Story), it belongs to the caper film sub-genre. Dave Burke (Ed Begley), an ageing small-timer who lives in a cheap residential hotel with his dog, has a plan. It’s the traditional “easy score” which will guarantee that he gets to live out the rest of his life in modest comfort. To carry out the plan – robbing a bank in that Hudson Valley town – he recruits two other men he knows. One is Johnny Ingram (Harry Belafonte), a nightclub singer with a gambling problem; the other is Earl Slater (Robert Ryan), an ex-con driven by a host of inner demons. Slater is a racist who is tormented by feelings of inadequacy – financial and sexual. 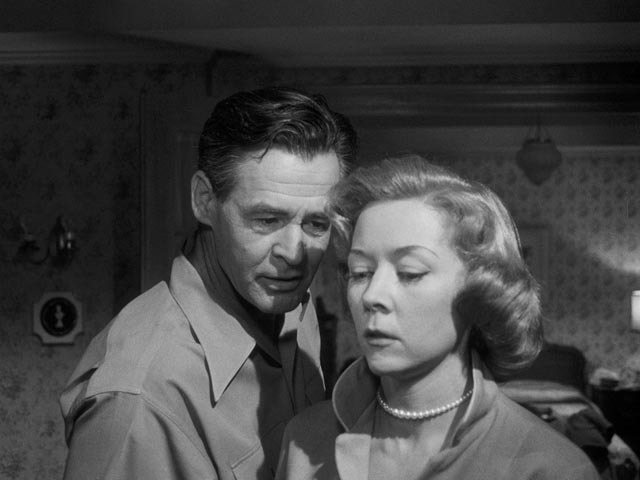 His relationship with Lorry (Shelley Winters) is fraught with tension because she has to support him; on top of which, Lorry’s friend and neighbour Helen (Gloria Grahame) provokes him with sexual advances when Lorry isn’t around. It’s clear that Slater is building towards an explosion … and having Johnny in on the heist gives him a ready-made target. 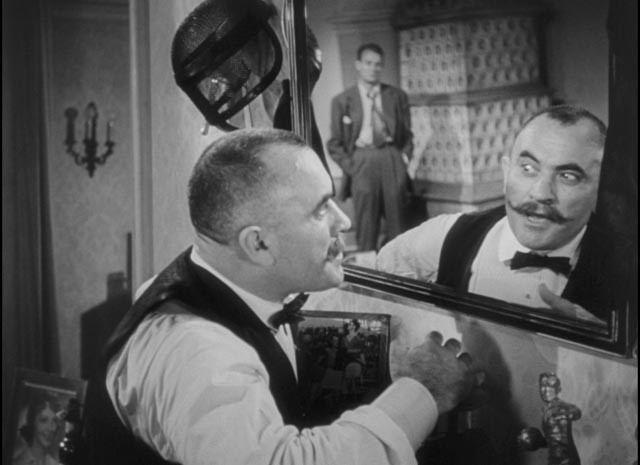 Burke’s plan is pretty simple – he’s figured out a way to get into the bank just after closing on the day it’s going to be overflowing with cash – but, as is always the case in caper movies, the internal conflicts of the gang are destined to mess things up. Traditionally, weakness and greed bring about the fall, but here it’s Slater’s hatred of Johnny because of his skin colour and Johnny’s bitterness and defiance of the con’s pathetic and unwarranted sense of superiority. Wise keeps tight control over these tensions and weaves them through the mechanics of the plot, faltering only slightly right at the end by bluntly hammering home the message about the stupidity of prejudice with an overwrought symbolic gesture after the point has already been forcefully made through the drama. Odds Against Tomorrow, shot in chilly shades of grey by Joseph C. Brun, has the spare, unadorned quality that marks the best of Wise’s films. Other than that final rhetorical gesture, there’s not a wasted moment, and the cast – the three leads and all the supporting players – is excellent. 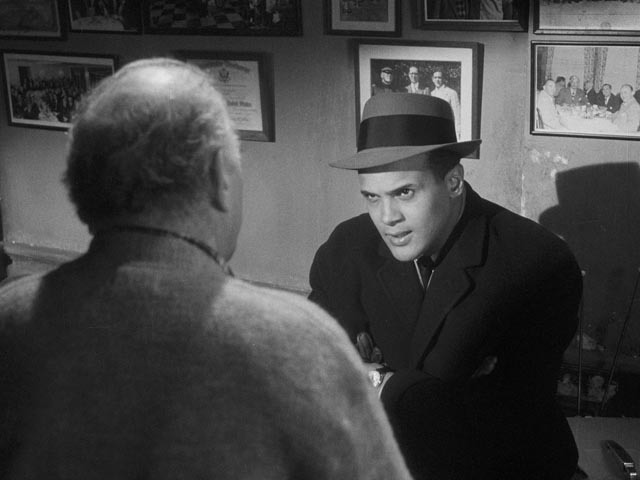 The film was produced by HarBel, the company Harry Belafonte had started in order to make movies in which Black characters would be treated on an equal footing with whites – the same year, the company made Ranald MacDougall’s apocalyptic The World, the Flesh and the Devil, which toyed with the idea of interracial romance only to have Belafonte’s character hold back because of internalized racist attitudes. The BFI Blu-ray sports a gorgeous new 2K transfer and is loaded with supplementary features, including a 50-minute Q&A with Belafonte from 2009, a 74-minute interview with Wise from 1995, a 63-minute interview with Robert Ryan from 1969, and a 30-minute appreciation by critic Adrian Wootton. I’ve written about John Baxter’s Love on the Dole (1941) before, but that was in the context of talking about poor-quality, possibly bootleg DVDs. The BFI Blu-ray, released in January 2016, erases all bad memories of that earlier experience. Given the film’s age, the quality of the restoration is very good. Shot in wartime England with inevitable budgetary constraints, it lacks the polish of Lang’s studio film or the visual expansiveness of Wise’s, made possible by shooting on location. 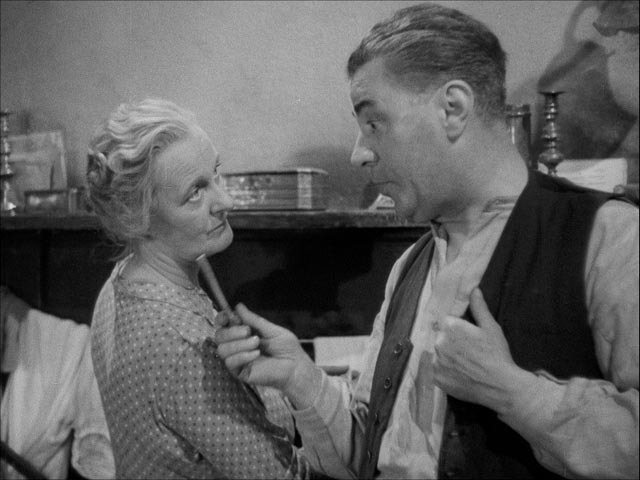 Love on the Dole is a small, somewhat cramped film, but this is fitting given the subject matter – the lives of a working class family and their community in a grimy northern industrial city in the early years of the Depression. Set and costume design are grimly realistic, and the performances are naturalistic, as opposed to the grating British tendency to caricature the “lower classes” for comic effect. And the tone is bleak, yet ultimately hopeful. Walter Greenwood wrote his novel, about a family living in the Hanky Park slums of Salford and struggling to survive in the face of unemployment and harsh social and political conditions, in 1933. It was quickly adapted into a successful stage play, but numerous attempts to turn it into a film through the rest of the decade were blocked by the censors, who were disturbed by its honest depiction of working class life (which includes union agitation and the brutal suppression by the police of a protest march). These objections were rooted in the idea that novels and plays were generally consumed by a better class of people, but movies were more often attended by the lower classes (people like those depicted in the story) and there was too much in Greenwood’s novel that might stir up the masses. Ironically, this attitude was turned on its head in the early years of the war, when with a few years distance from the harsh economic conditions shown, the struggles of the Hardcastle family could now be seen as a metaphor for the strength and resilience of a people united in the fight against Fascism. Although a number of directors had been involved in the various attempts to make the film during the ’30s, by chance it finally came to John Baxter, who in retrospect proved the ideal choice. A prolific filmmaker with a background in the theatre – and perhaps more importantly, the music hall – Baxter had a deep empathy for the poor and working class and much of his film work was directed towards those audiences, carrying into the movies the kinds of entertainment previously supplied by the music hall. This gave much of his work a kind of honest sentimentality, frowned on by more serious critics, but popular at the box office. He made many musicals and knock-about comedies (including a string of Old Mother Riley comedies starring Arthur Lucan). Throughout the ’30s, he kept returning to characters trapped in economic hardship, providing his audiences with reflections of their own lives, but showing how communities coming together in mutual support could get by and even improve their lot to some degree. A Christian Scientist, he believed in the essential decency of people and felt that things could be improved by good intentions rather than revolution. 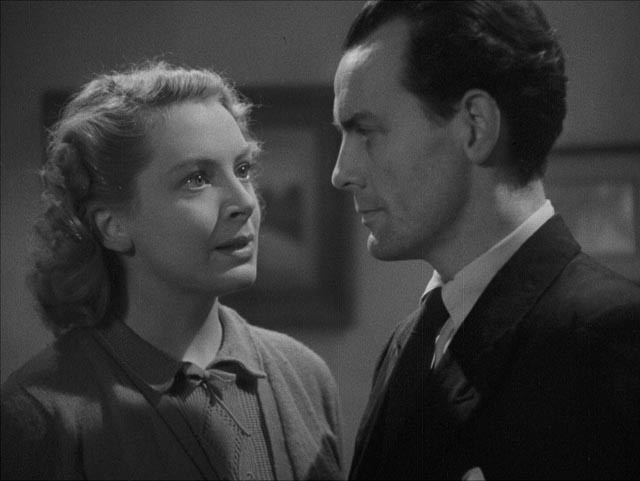 Greenwood’s story had a harder edge than Baxter’s usual work, with union man Larry Meath (Clifford Evans) making explicit arguments for the need to confront a state which has abandoned large segments of society and his girlfriend Sally Hardcastle (Deborah Kerr in her first big role) finally forced to make a choice which was bound to trouble the censors, and yet the bleakness is tempered by that sense of community; Baxter manages to give the impression that the story is being told from inside the community, not observed from outside with the characters being treated as types or specimens. 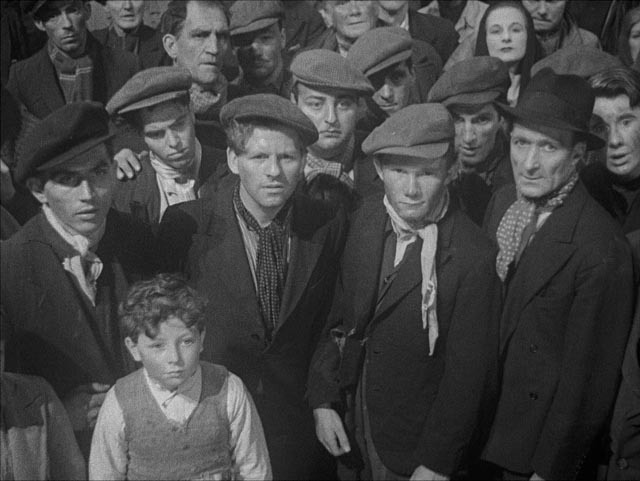 In this sense Love on the Dole is something of a precursor of Ken Loach’s treatment of the working class in many films, such as Kes (1969), Raining Stones (1993), Sweet Sixteen (2002) and so on. By the time he made the film, Baxter had a kind of stock company and the cast has a strong ensemble quality; the Hardcastle family seem quite genuine, with George Carney as the proud but fearful father, Mary Merrall as the stalwart mother, Deborah Kerr as Sally, the determined and pragmatic daughter, and Geoffrey Hibbert as her younger brother Harry, who has yet to become an adult and learn how to navigate the practical limitations of the life he was born into. This family is surrounded by neighbours who are struggling as much as they are, some angry, some resigned; there’s even a kind of Greek chorus of old women to comment on events and conditions with a note of comic cynicism. The film was shot on studio sets – a very convincing slum residence, a narrow street – with the opening and closing views of the smoky town rendered with a miniature, and the two sequences which offer a brief respite from the grime created with rear projection. Sally gets a day in the country with Larry, shot on a small knoll constructed in front of a studio backdrop, and Harry and his girlfriend get a week in Blackpool thanks to a lucky win at the races. Yet even the obvious artificiality of these two sequences works within the context of the film, each being essentially a wish-fulfillment fantasy of escape, a dream of something lighter, more pleasant, more hopeful than the daily grind back home in Hanky Park. This entry was posted in Commentary, Review and tagged Actors, BFI, Blu-Ray, Classics, Crime, Directors, Docu-drama, Film Noir, Restored Films, War Films. Bookmark the permalink. Very well written… as usual. Thanks, Grant … I try my best!